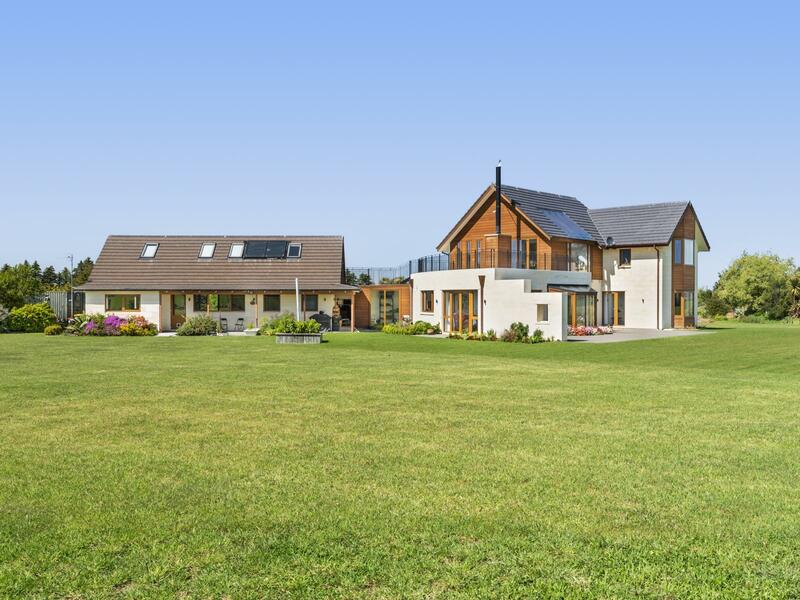 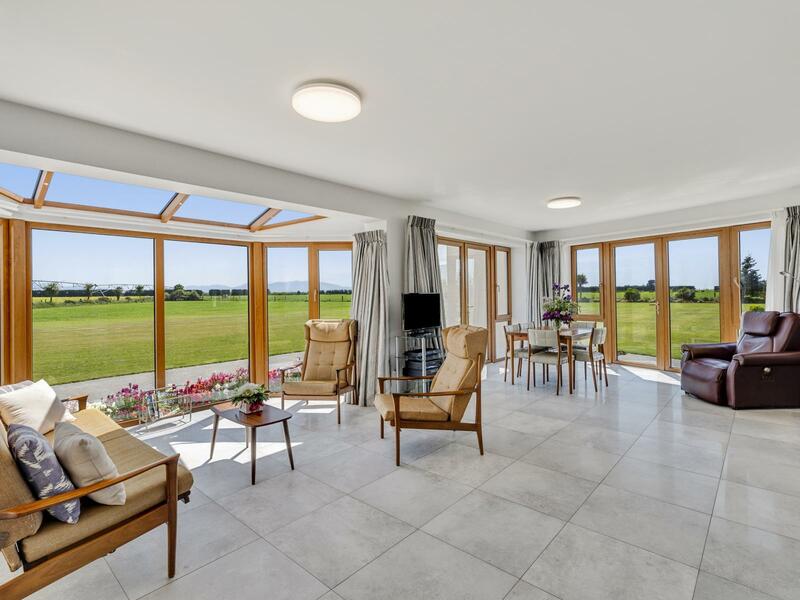 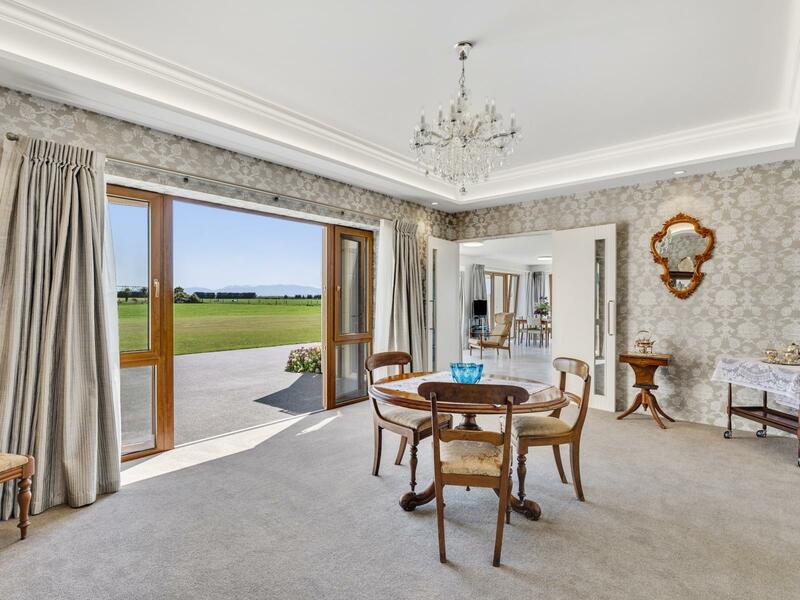 Designed by Roger Buck and Associates and built by Gregg Builders Ltd, unrivalled in style and without peer in appointment, this bespoke multi-dwelling property is uniquely configured for dual family/cross-generational living or B&B on a luxury lifestyle holding. 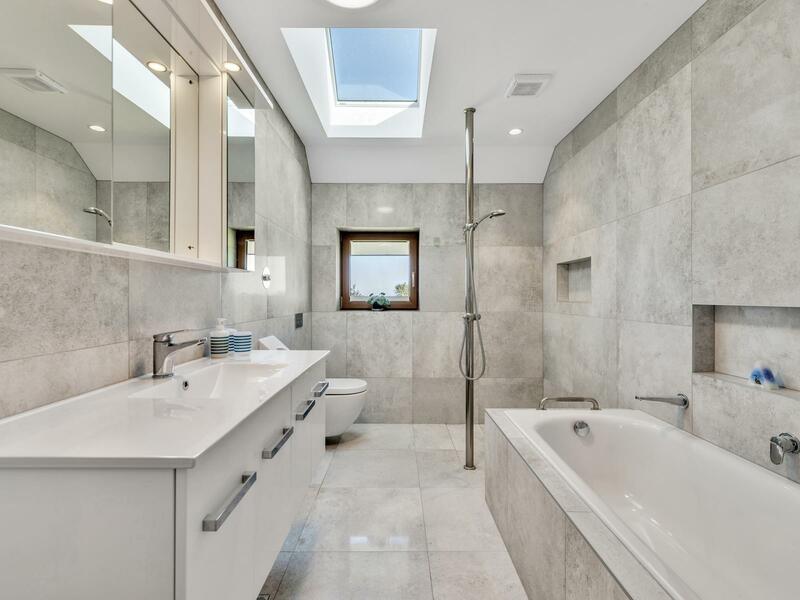 The main dwelling of 480sqm was built in two stages, the first stage (159sqm) in 2006, and the main house (329sqm) in 2016. 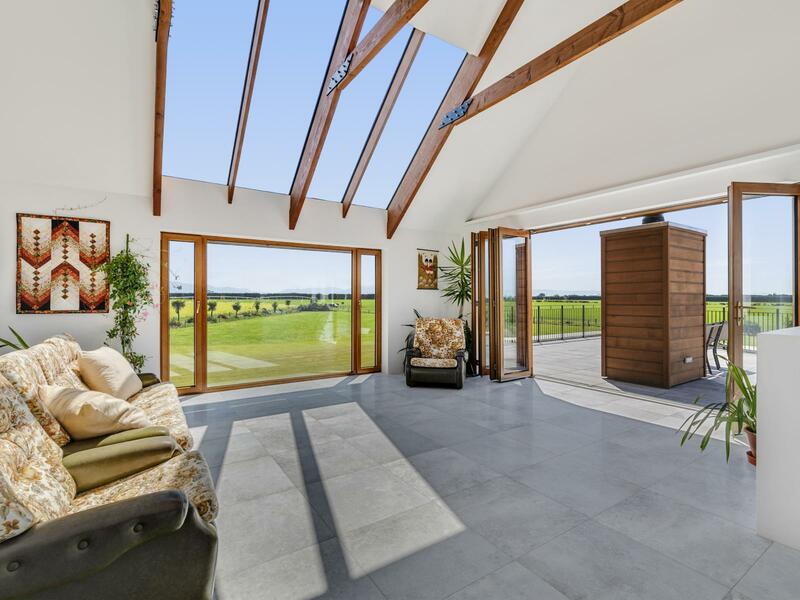 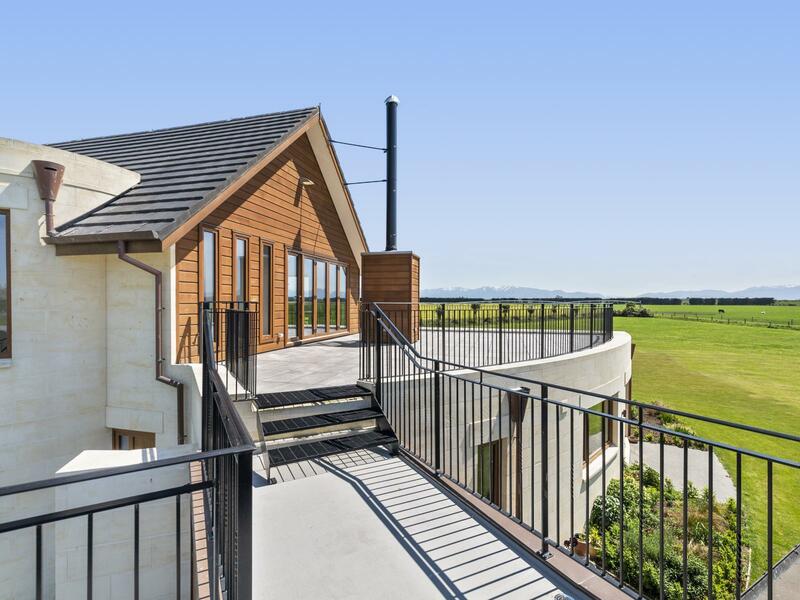 While it cuts a stylish figure in Oamaru Stone with Cedar accents, it was designed to capture the mountain vista of 180 degrees; being energy efficient, incorporating thermal mass with positioning to maximise sun and outlooks. 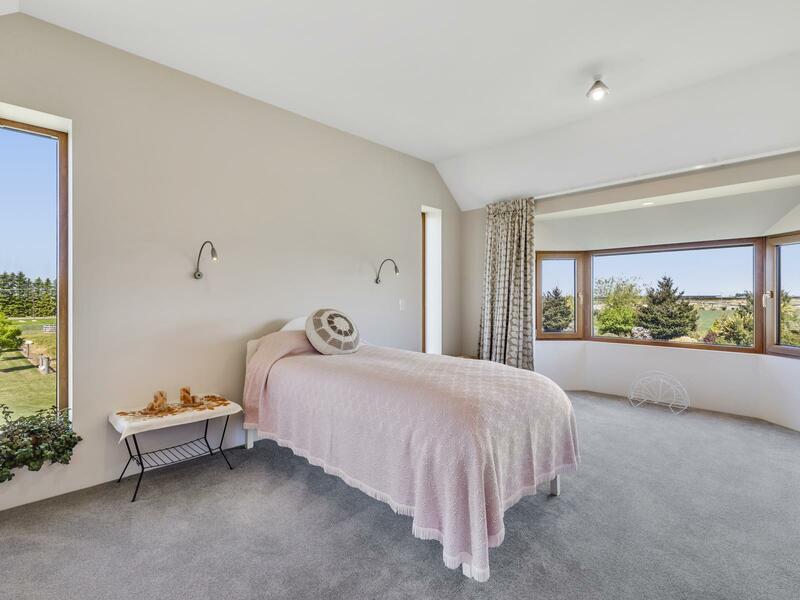 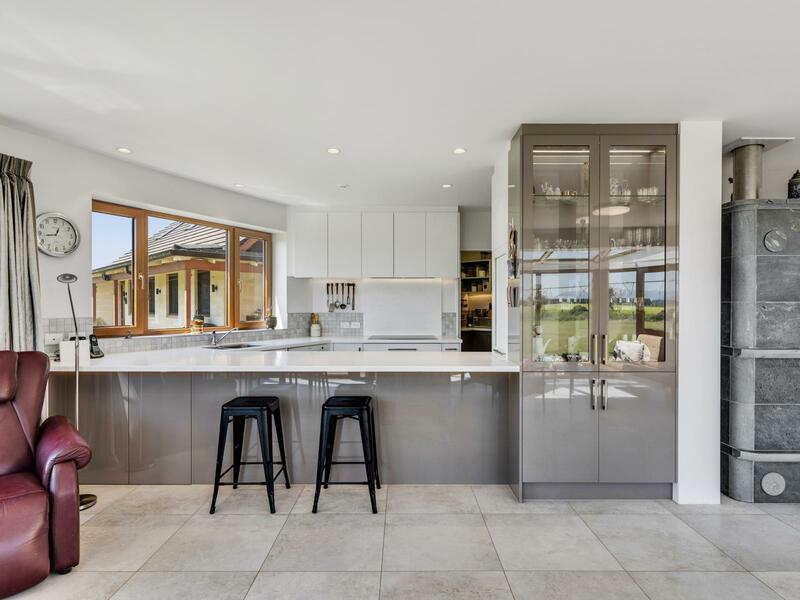 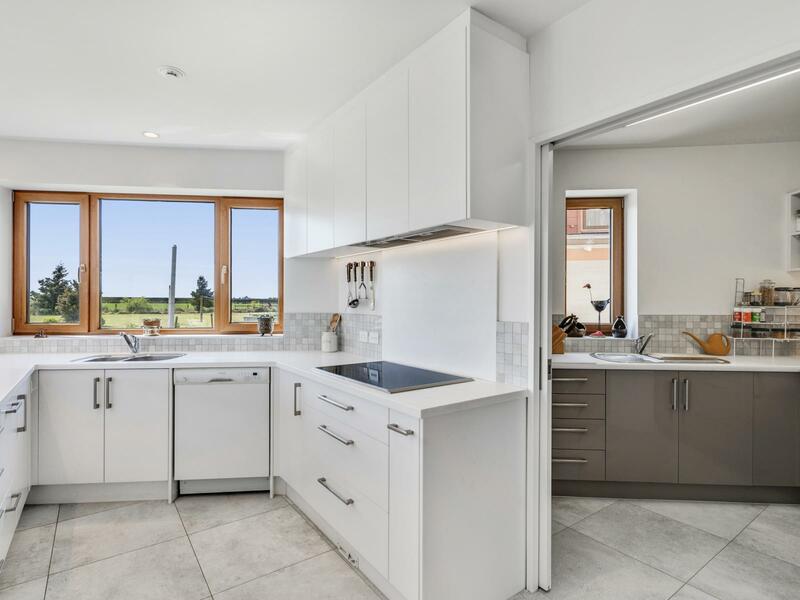 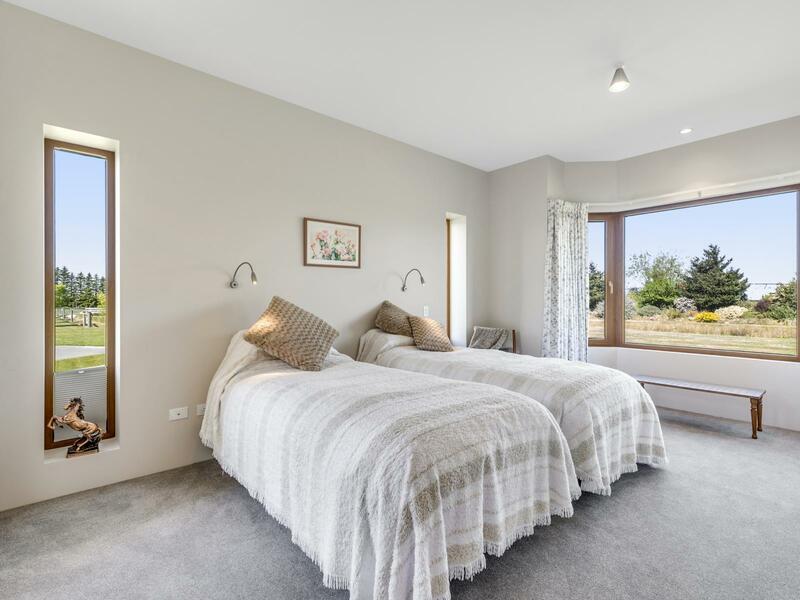 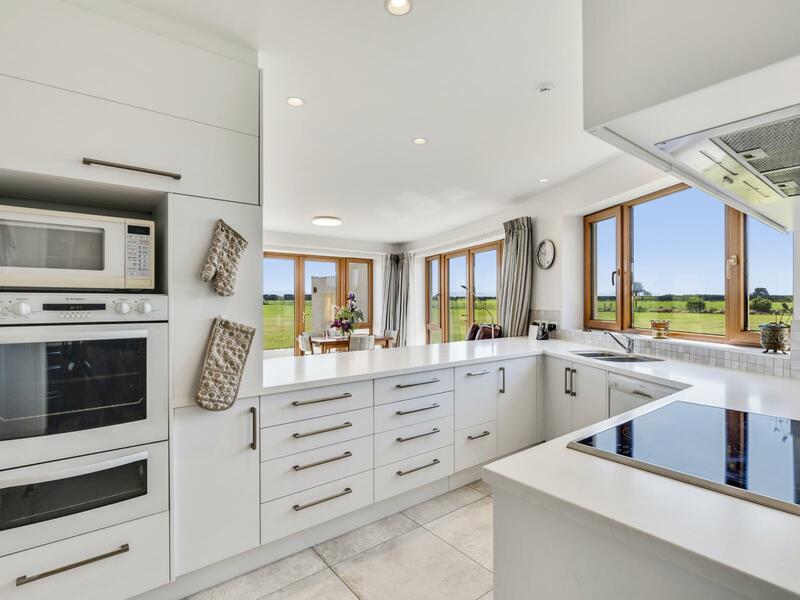 Featuring five bedrooms and five bathrooms, the main house offers luxurious larger family living and entertaining with a custom kitchen featuring butlers pantry, premium quality appliances and a Tulikivi wood-burning heat storage range with pizza oven. 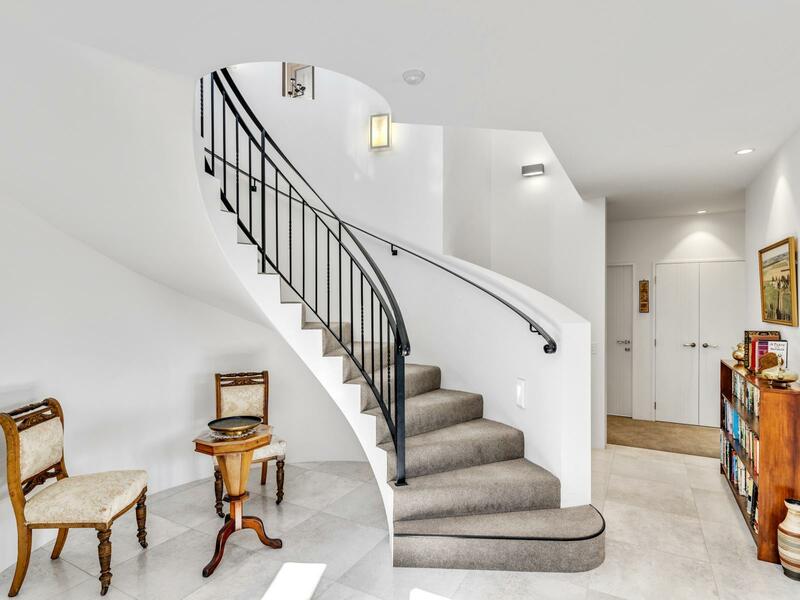 Multi-zoned social spaces on both levels connect by an impressive spiral staircase and cater to formal and informal entertaining requirements with the upper level flowing organically to an expansive terrace. 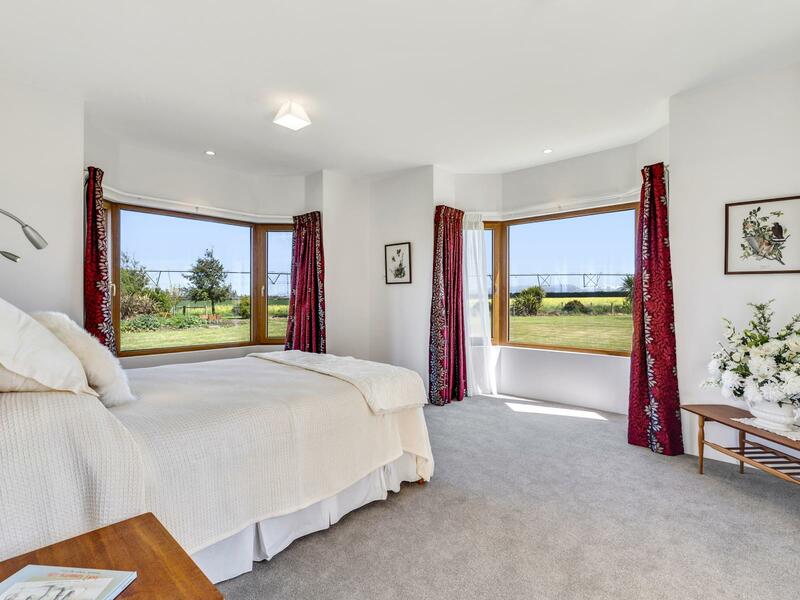 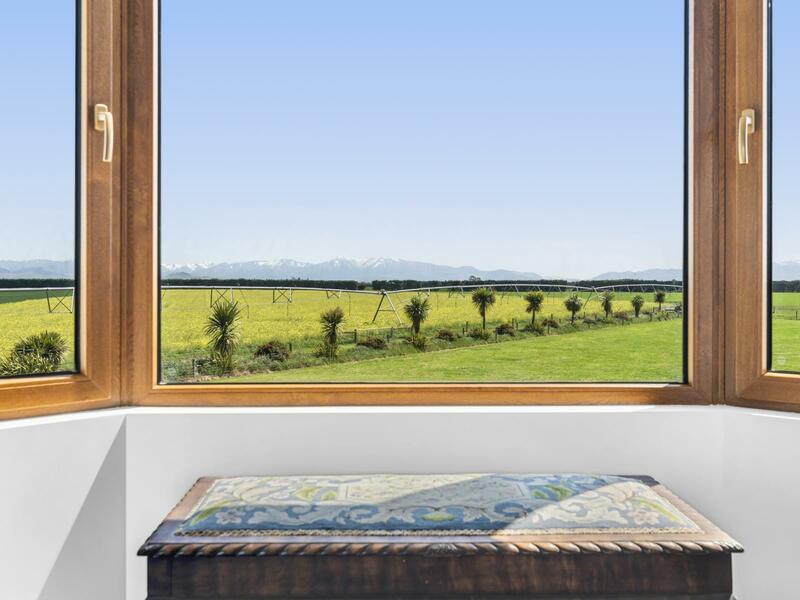 The second dwelling (56 sqm) built in 2001 is fully self-contained that can provide independent living for extra family or the possibility of B&B accommodation. 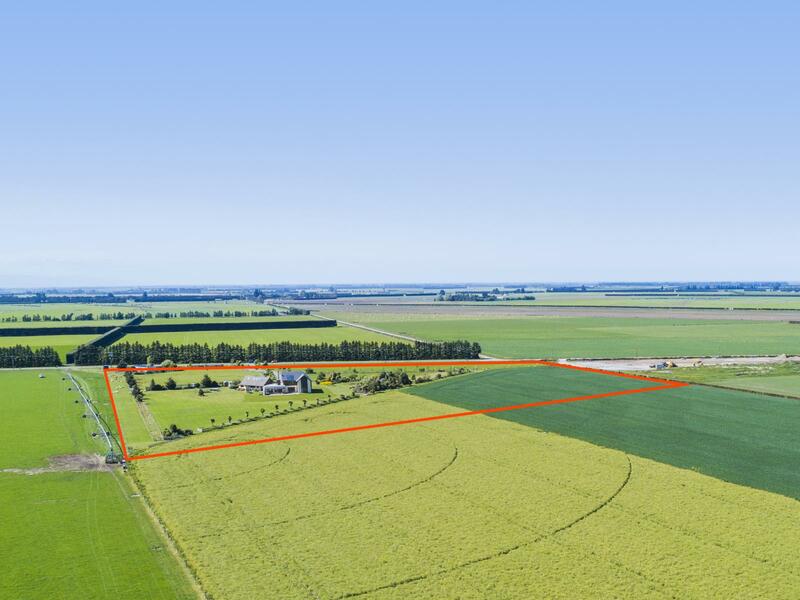 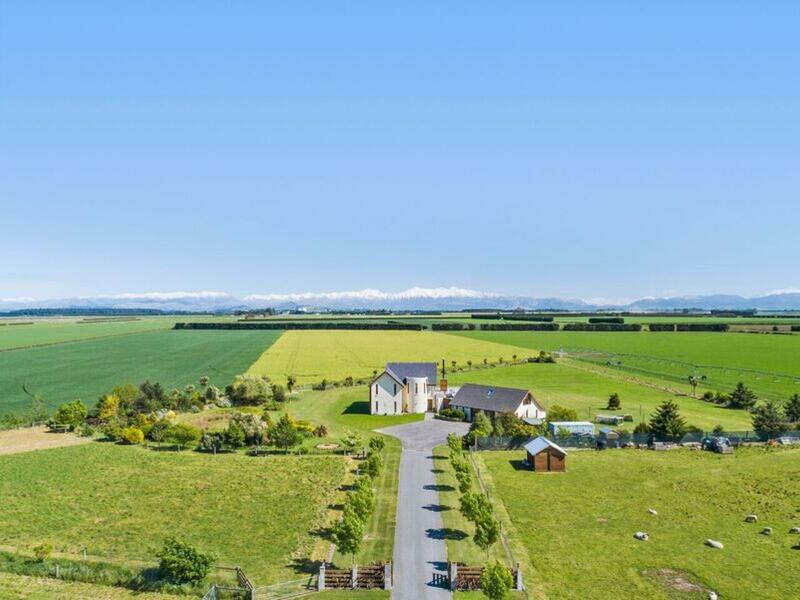 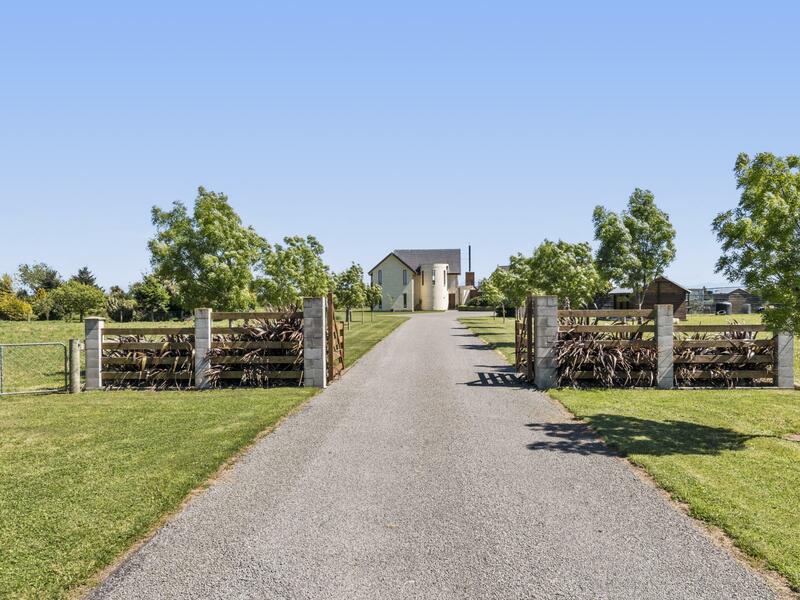 Divided into 6 areas the 5.96ha (with 2.5ha currently leased out) property is ideal for retiring farmers, those with extra family to consider or establishing a boutique farm-stay/B&B operation. 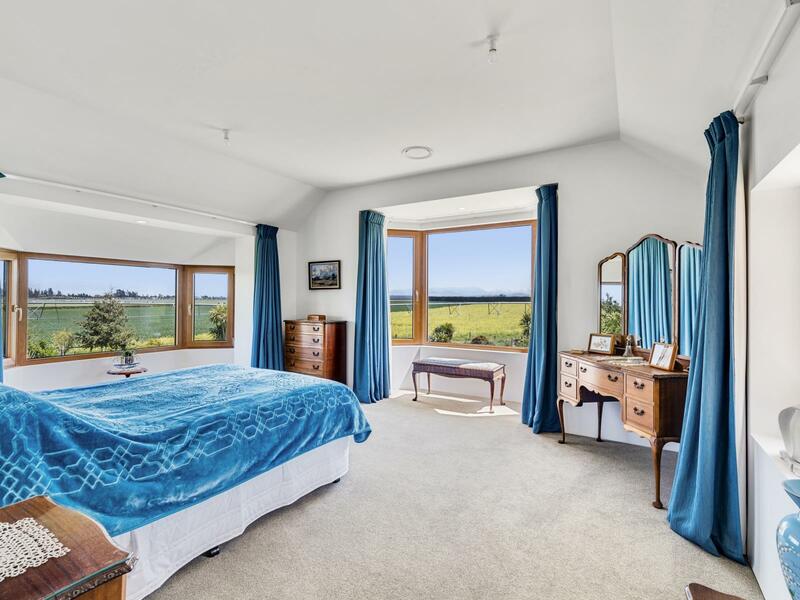 Viewing by private appointment. 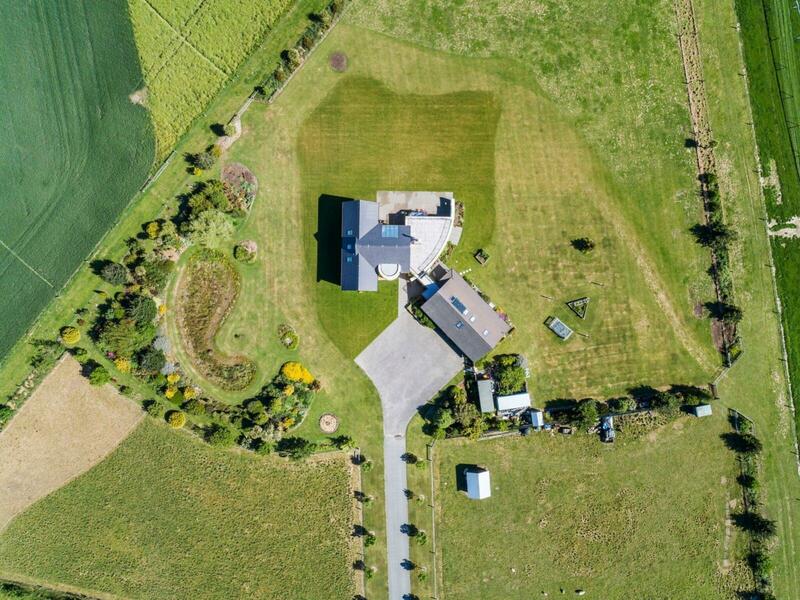 Contact Amy Jones or Matt Collier for further details or to obtain a comprehensive chattels inventory.